Some highly paid people seem to not be very good at thinking straight... or at all. We’ve all seen robot bartenders in movies: Star Wars episode one; The Fifth Element; I, Robot, etc. 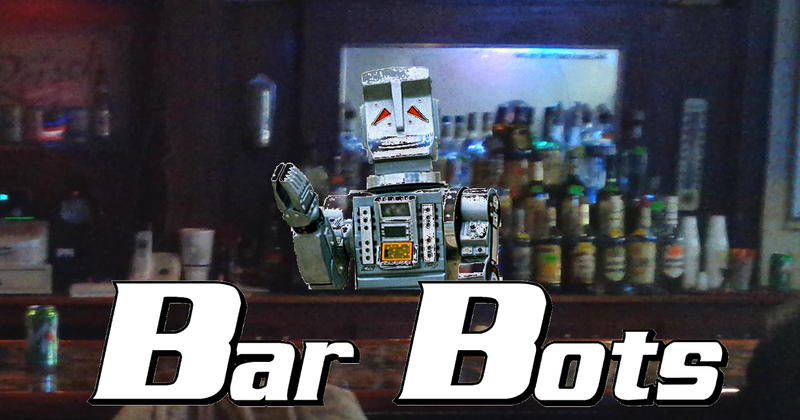 Ever notice that human bartenders often have a lot of screen time in movies, but robot bartenders don’t? The reason is simple: robots are boring. Which is why we won’t see many robot bartenders in real life, and this real life robot bartender is going to go over like the proverbial lead balloon. Someone who doesn’t visit bars inventing something to use in bars is about as stupid as Richardson in Mars, Ho!, who assigned a Muslim to design a robot to cook pork and an engineer who didn’t drink coffee to make a robotic coffeemaker. Just because it works in the movies doesn’t mean it works in real life.